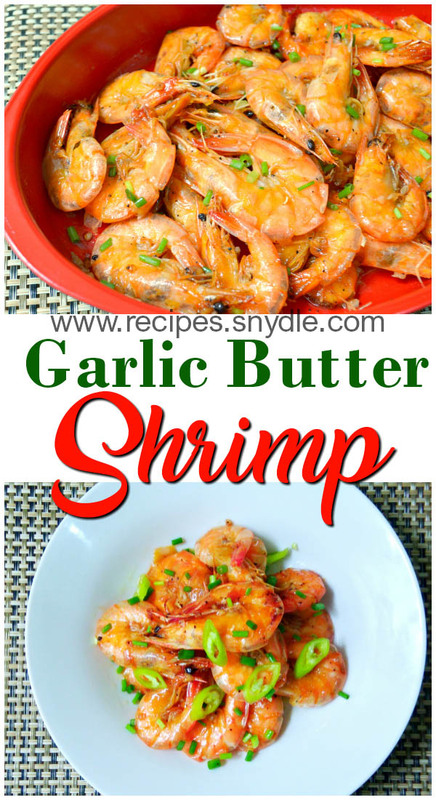 Garlic butter shrimp, as the name suggests, is shrimp cooked with butter and garlic. Many people love the buttery, garlicky taste of this dish. 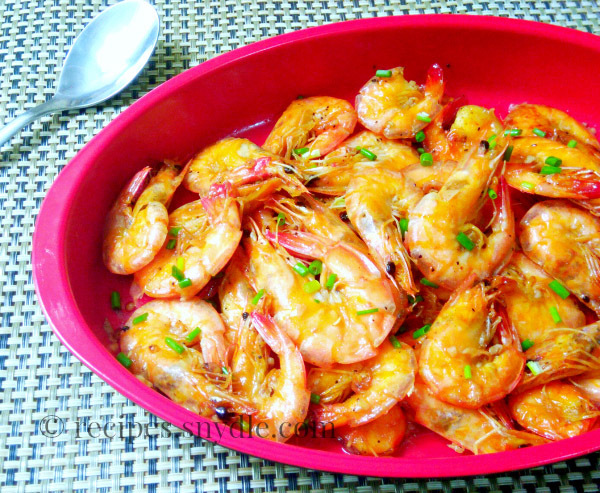 This garlic butter shrimp is my family’s one of the most favourite recipes. 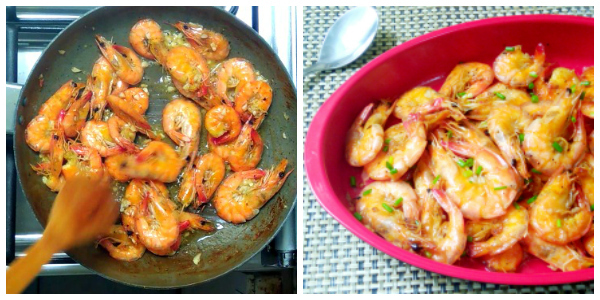 I seldom cook this kind of seafood dish though, because it’s a bit pricey. But a family day calls for a special dish that everyone loves. 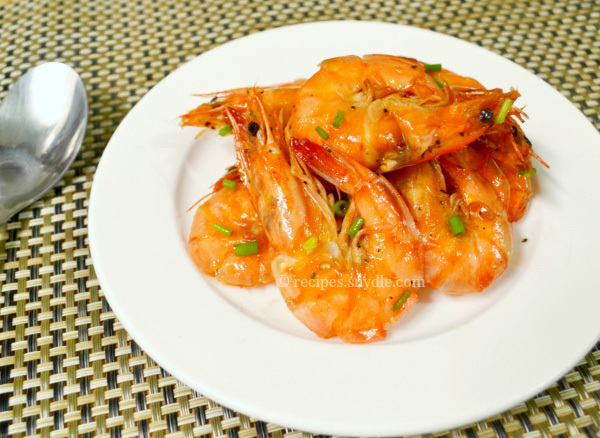 Instead of going to a seafood restaurant where Garlic butter shrimp is usually served together with its fellow yummies, you can prepare for your family at the comfort of your home. While the family enjoys a noontime show or movie, you can spare a few minutes cooking this easy recipe. This recipe is so easy it would only take you in less than 20 minutes to cook. You’ll get to enjoy this yummy goodness hassle-free, no sweat! So are you ready? 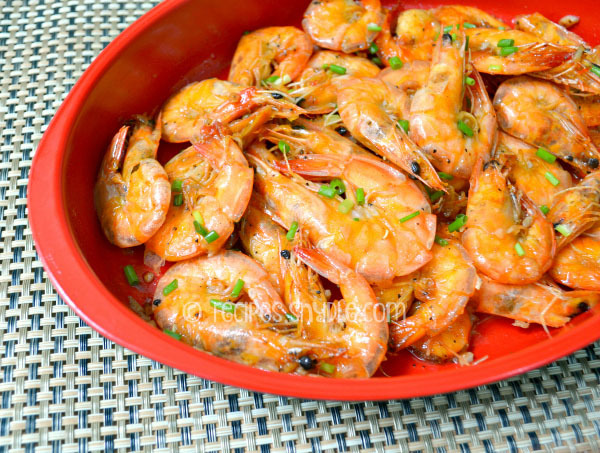 Wanna try this scrumptious, glorious Garlic Butter Shrimp and have the best family day ever? Read on and I hope you find this recipe useful. 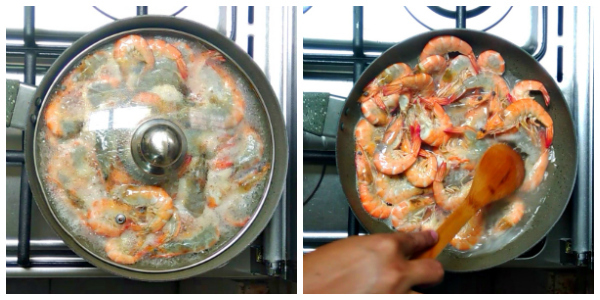 Put the shrimp in the pan or wok with lid. Pour in sprite/7-up. Turn on the heat and put the lid. Let it simmer in high heat for 10-15 minutes or until the sauce dries up. Once the soda dries up, add in butter, garlic, salt and pepper. Let it simmer in low heat for 2-3 minutes. Garnish with spring onion. Serve hot. And there you have it! 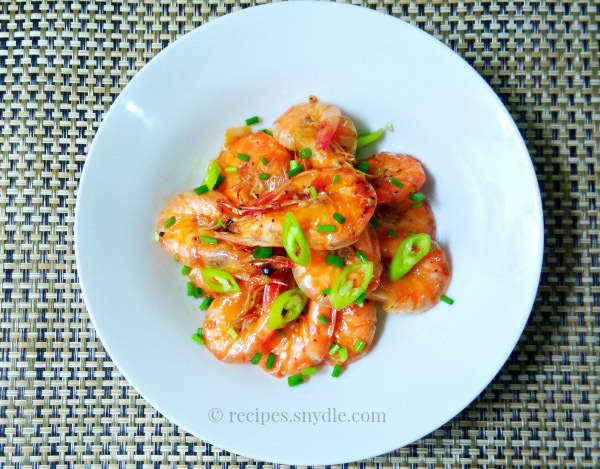 You’ve got this elegantly delicious Garlic butter shrimp. You can partner this with steaming hot rice. Yum! i’m litterally drooling while typing this coz I still remember how these little yumminess taste like when I and my family feast on it. If you want more sauce in your shrimp, you can simmer the shrimp with soda a bit shorter or only until the sauce thickens. My family prefer dry that’s why I waited until it dried up before adding the garlic and butter. This way, the garlic will also be ‘”sauteed” or “fried” with the butter as it simmers. 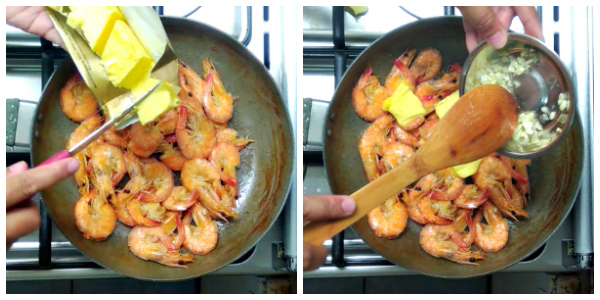 You can also try the other way around, starting from sauteing garlic in the butter, then shrimp next. 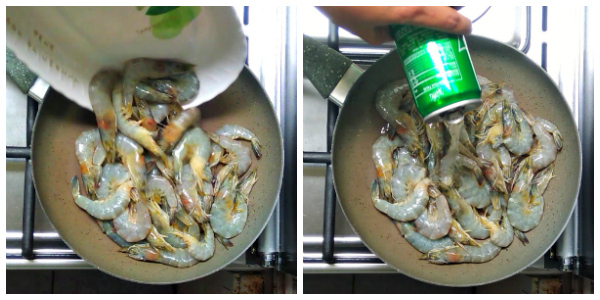 But in this method, you have to marinate the shrimp with sprite or 7-up for at least 30 minutes. I don’t have time for this so I thought if I want the flavor of the lemon soda, I might as well cook it there. Spring onions are optional. You can also add parsley and green chili for some kick. You can remove the head of the shrimp. I didn’t because the head gives off additional flavor. Don’t leave it on the table for too long. You will only be able to eat a few coz your siblings would feast on it immediately. Lastly, enjoy!